The search engine giant, Google has always been high on releasing quick and quirky updates for Play store every now and then. It has been the fastest player in the market which keeps the users riveted to the Play store by doling out new features and updates on the assemblage of apps enveloped in its popular Play store. If you are searching for the links to download the latest versions of Google Play app, then go to the list given below and download them right away. The list below provides a link to the APK files which can be easily downloaded and installed through your file manager app. You just have to click on the downloaded file to start the installation process. But before you do that, make sure you have enabled the installation from “Unknown Sources” under the “Settings” in your phone. Recently, Google has rolled out a horde of attractive new features such as the new card widget displayed on the top of the search results. This allows you to install the app directly from here. Google had tried experimentation with the screenshots shown in the widgets but it has been removed and so you will not find those near the widgets now. Another amazing feature released by Google is Google Play Instant whereby users can play their games and use the app without actually installing them on your device. Therefore, you can save a lot of space in your device and get rid of hefty apps that occupied a large chunk of your phone’s memory. You can download the latest version of the Play Store APK from the table right below. 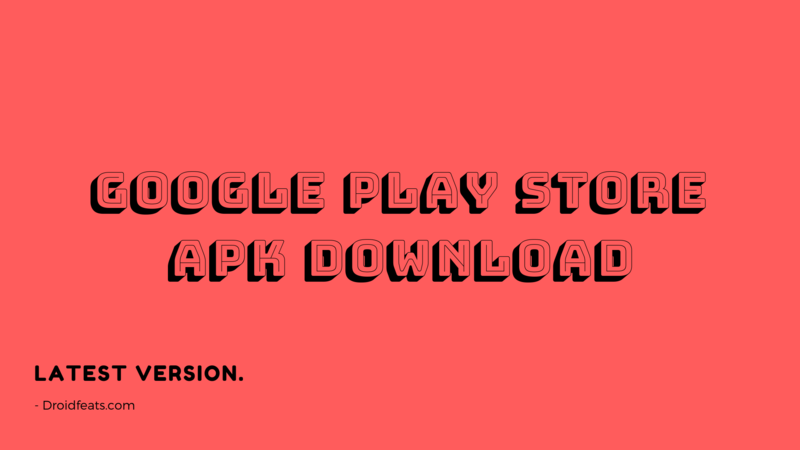 Play Store APK 14.5.52 Download now! Play Store APK 13.9.17 Download now! Play Store APK 13.3.16 Download now! Play Store APK 12.6.13 Download now! The Play store team has been showcasing its craft for creating exciting features for people and so users have been on a roll since its announcement. One such amazing feature is the My apps & games’ section. Under this section, you will find a changelog of every app on a drop-down. We believe that users are loving it and know for sure that it will be very useful for the regular and pro users alike. To enjoy this wonderful feature, head to the Play Store app and swipe from left edge to rightwards and the tap on My apps & games, and there you have it on your screen. There is another change brought about by Google and this is a new interface for the ‘developer contact’ info. This is hidden by default in the app under a drop down. We found it to be a pretty cool function. Not only this, Google has another addition to its series of new features. The search engine has removed the app’s video from the top, to put it with other screenshots. So, users will not find any video on the top but will see information such as app’s icon, name, its category, and badges like Editor’s Choice, ranking in top sections, etc. But we think it is not relevant with the use of latest Play Store APK. Nevertheless, users are enjoying the latest versions of the apps as they help a lot in using new UI interfaces. Farheen Siddiqa is a writing enthusiast with a strong passion for crafting high-quality content. Solely focussed on providing vital information to the readers.